It is a little unexpected and not that type that the Korean automaker makes a huge splash at the huge event like 2018 Geneva Motor Show. The Korean fourth largest car company presented a new model that will hit the European markets this year. 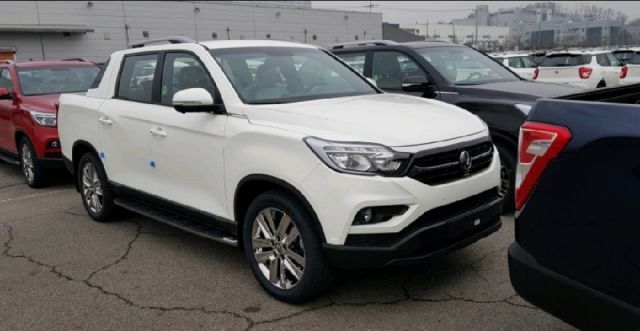 The upcoming 2019 SsangYong Musso is an affordable SUV that offers plenty of features. Musso is a Korean word for rhinoceros, so you can already make some conclusions here. 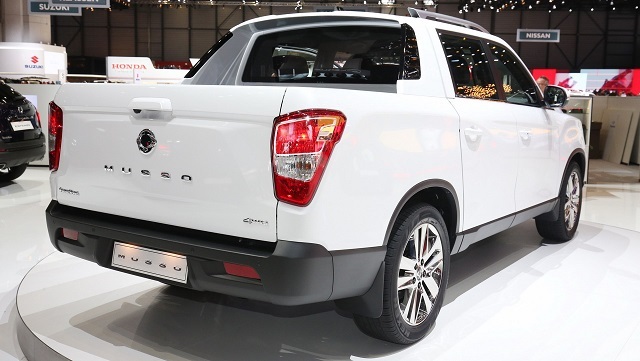 The SsangYong pays more attention to make an established SUV than to be compared with well-known models in SUV segment. Musso uses the same architecture and shares a lot of similarities with SsangYong Rexton. With plenty of functionality and numerous useful features, Musso is also a vehicle that comes with plenty of cabin space and the exterior that looks modern and aerodynamic. 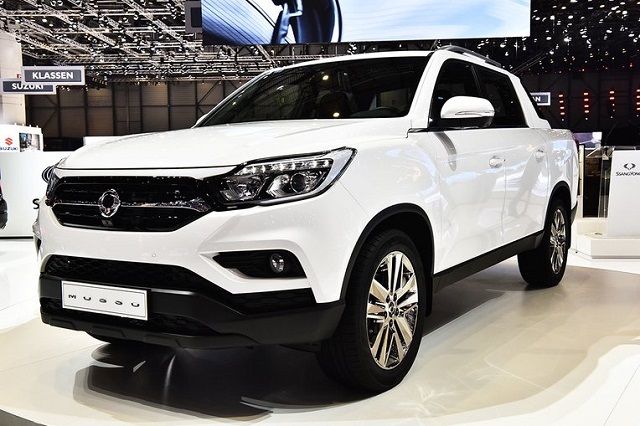 The exterior design of the new 2019 SsangYong Musso provides the vehicle a muscular stance that is inspired by the new SsangYong’s design language named Nature-born 3 Motion. Up front, you can find a bold chrome line that runs across the radiator grille and the curves that give new Musso a robust look and the posture of strength. All SsangYong models feature a new characteristic, the shoulder wing grille that stretches out to the headlights. At the side and rear, a dynamic line adds a sense of power and the doors are made to cover the sills and lower part of the body, so in that way, the passengers won’t pick up dirt while getting in and out. The 20-inch wheels look perfect on the forthcoming 2019 Musso. The interior of 2019 SsangYong Musso is all-new. Many will find it odd that the utility vehicle offers such a high level of refinement and overall ambiance that could be found on more premium SUVs. The cabin is great looking and it offers Nappa leather seats. Most models come with heated front seats that are also ventilated, so long journeys won’t be a problem with a Musso. The interior is one of the most spacious in SUV segment. The rear-row seats can accumulate three passengers, and both leg and elbow room is generous. The dashboard looks nice and it hosts a mounted 8.0-inch touchscreen. An mp3 connectivity, Bluetooth, and DAB radio are standard on all models. Higher trim levels provide features like Apple CarPlay and Android Auto. Under the hood of the forthcoming 2019 SsangYong Musso seats a 2.2-liter turbo diesel engine. This powertrain can deliver up to 180 horsepower and 310 lb-ft of torque. This e-XDi220 engine is a proven engine that is highly efficient and it also delivers progressive acceleration and low-end torque. This unit is using a 6-speed manual or Aisin 6-speed automatic transmission. Musso is also available with an all-wheel-drive setup so, in that way, efficiency and fuel economy are better. 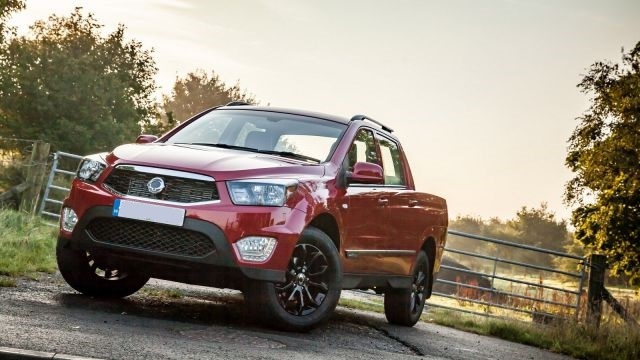 The approaching 2019 SsangYong Musso will arrive in the European markets later this year, including the United Kingdom. The U.S. dealerships will have to wait for 2019. The price shouldn’t be much different than the outgoing model, so base Musso will cost around $16,500. Top-range VAT model starts at $22,500.